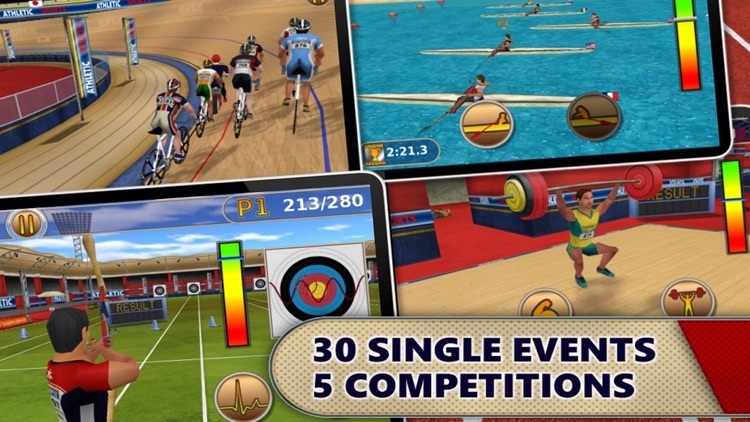 Practice olympic sports in a realistic 3D environment through 30 events and 5 competitions ! 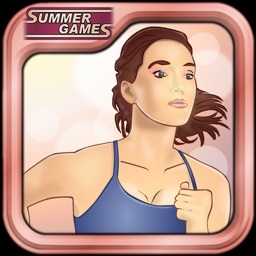 Challenge the computer or play against friends to beat records all around the world ! Are you ready to take on the best in the world ? Now, the sport, it's on your phone ! 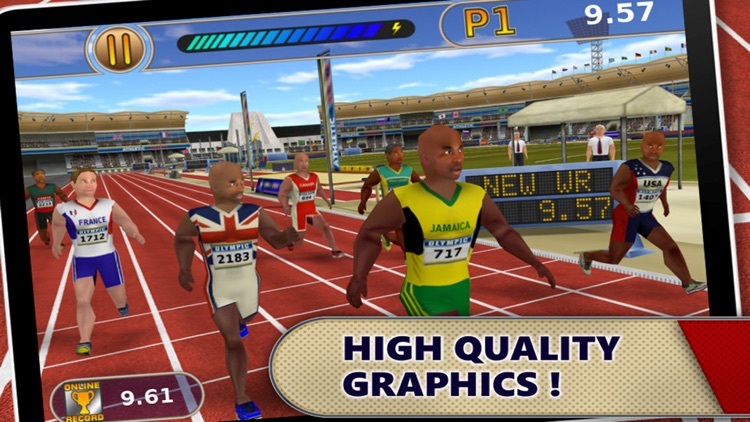 Athletics Summer Sports allows to play 12 athletics events, 4 shooting events, 4 cycling events, 6 swimming events and many more, all in sharp 3D graphics. 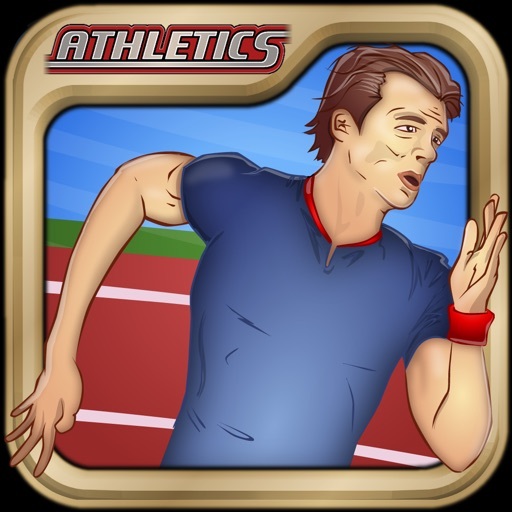 Athletics Summer Sports immerses you in an olympic authentic atmosphere. You will evolve through detailed and realistic environment with animations to celebrate your records. The game includes music and special crowd sound effects. 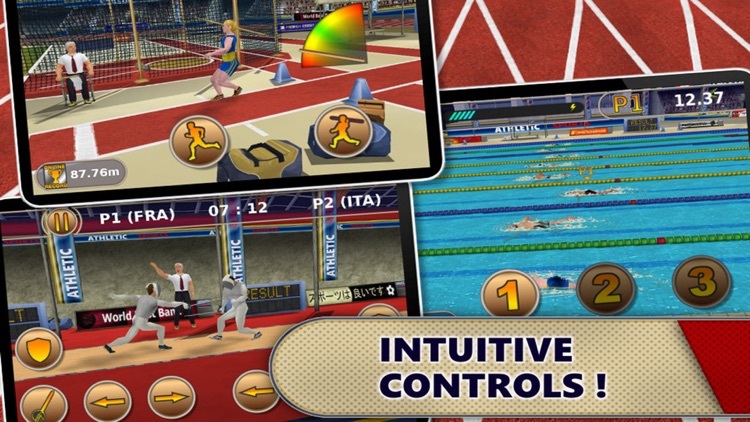 Athletics Summer Sports provides an intuitive gameplay system for both beginners and experienced players. It requires fast fingers, impeccable timing, and smart strategy to defeat your opponents and claim a medal. 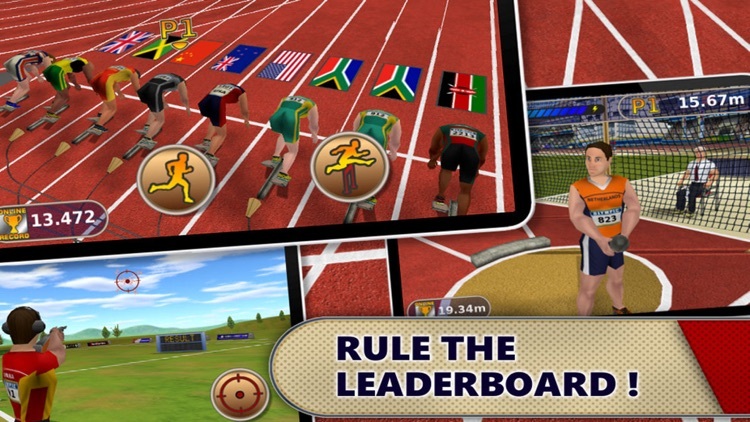 Rule the World Leaderboard for each event and each competition. Take a look at leaderboard and see how your score ranks against your friends, as well as all players. 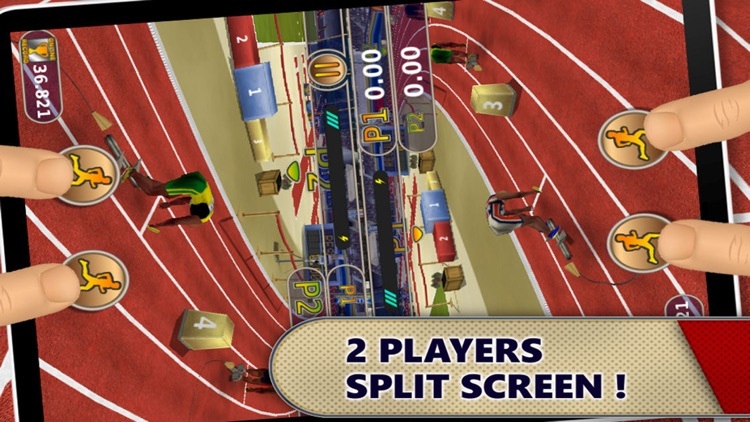 Challenge your friends on the same screen with split-screen feature. Go head to head against 30 athletes from USA to Australia ! 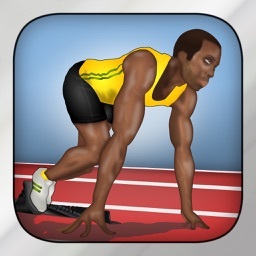 2 In-App Purchases to unlock all events and/or all competitions. -iOS 4.2 and higher for "Game Center" feature. iPad device, please download "Athletics Summer Sports HD" application.